If you are reading this, you’re probably anticipating your trip to Vancouver or are contemplating on taking a visit to our beautiful city! Along with the enhanced use of digital technology such as smart phones and tablets, applications are on the rise as the best hand-held digital side-kicks. Applications – also known as apps – are software that provides quick and efficient access to everything; from social media platforms to digital cutting boards for your kitchen counter, there is an app for everyone. We have gathered a list of the best (free!) apps to have on your phone that will guarantee to make your travels to Vancouver a well-organized and fun experience! Tourism Vancouver is the city’s premier hub for creating the best experience for visitors from around the world. Just a few years ago, Tourism Vancouver launched its first app, Visit Vancouver, to enhance their innovative approach to tourism. Visit Vancouver provides everything, from food to events and activities happening around the city. If you are looking to plan your trip to Vancouver, the app also provides assistance with planning accommodation and transportation! The design of Visit Vancouver is visually pleasing to the eye as it also includes photos and videos. Click here to find out more about the app! OnTheGoKids is the perfect app for families that seek kid-friendly events and festivals happening in the city. Created by yoyomama.com, a Canadian website with a focus towards family-oriented products, events, and other services, this app allows you to store information and access it offline – no need for Wi-Fi! Similar to our other apps mentioned, OnTheGoKids also has GPS and directions included. If you want to share your experiences, OnTheGoKids allows you to connect to social media platforms as well! Download the app here! 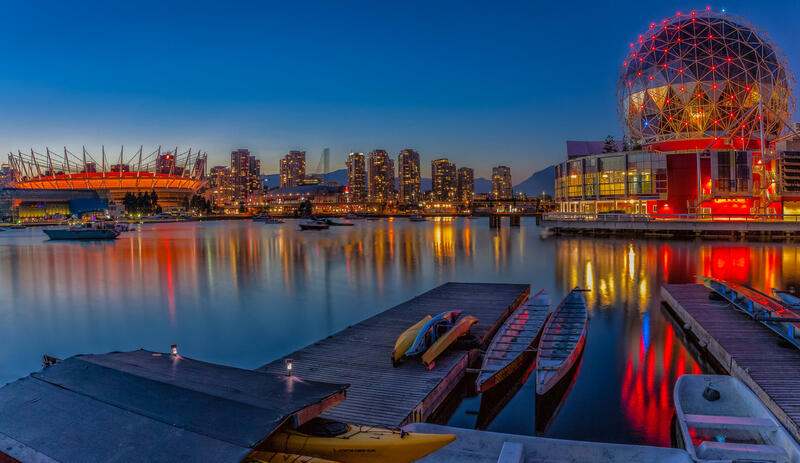 With nightclubs located all around the downtown area, Vancouver’s nightlife is always a blast! Developed and founded in Vancouver, Nightbound allows users to check wait times for lines, apply for guest lists and even access special deals and discounts! 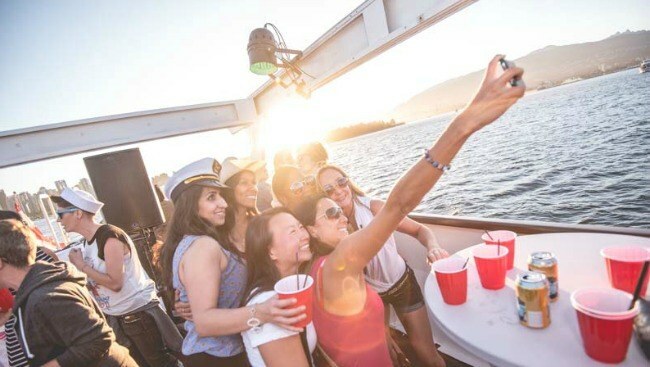 As an app that has been featured on about.com and BC Living, Nightbound is perfect for saavy club-goers! Click here to download the app now! Within the last few years, the food truck industry has been incredibly successful. 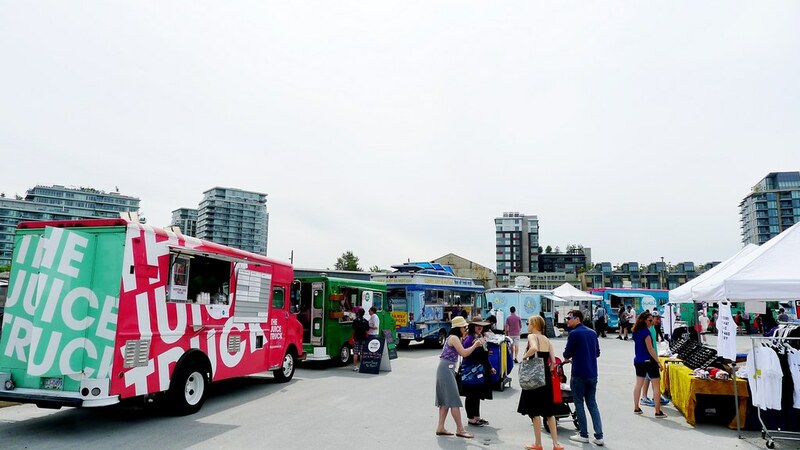 From food truck festivals in the Olympic Village to the daily gathering of food trucks at the Vancouver Art Gallery, there is bound to be a food truck that caters to your taste buds! The Street Food app provides a list of food trucks in the downtown core. It is colour coordinated so that you know which food truck is open and what time, as well as the websites and social media platforms. If you’re looking for some of the best, there is also a list of the top 10 food trucks in the city – try Mom’s Grilled Cheese Truck or Japadog! Click here to download! 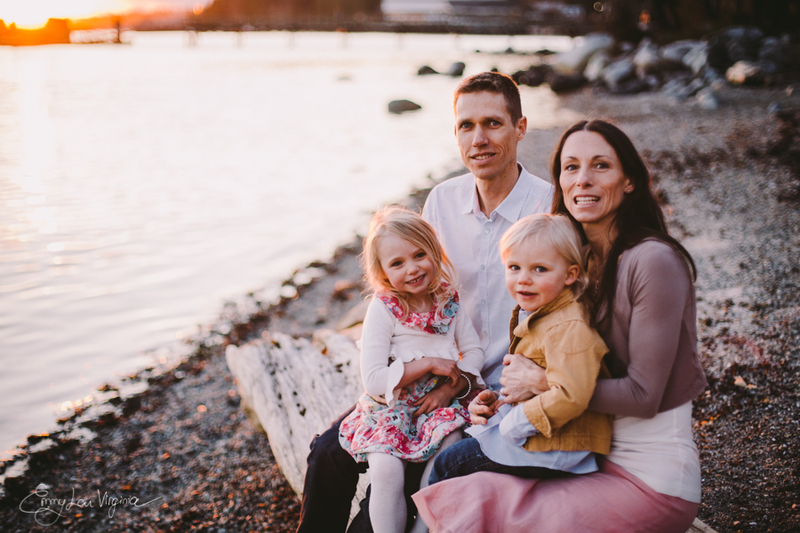 Many restaurants in Vancouver have opted for local BC family-owned farms and/or food businesses for their ingredients. We Heart Local is an app that provides a list of the freshest and highest quality of food items in your area, as well as recipes if you plan on cooking! This app is great for the economy of British Columbia and it also builds a tighter community among restaurateurs and farmers. Ready to try some local goods? Click here to download the app! Developed by MetroVancouver as an initiative to encourage recycling, the TapMap app has remained as the go-to app for finding locations to refill your water bottles. With over 500 locations, TapMap encourages reusing bottles instead of plastic bottles, which end up in landfills every year. British Columbia has some of the cleanest water in the world – 30 000 samples are tested every year and the water is treated through world-class facilities. To quote Patricia Daly, the Chief Medical Health Officer for Vancouver Coastal Health: “most of the world does not have access to clean drinking water, but we have a pristine source of water here […] tap water is all I drink.” Vancouver is extremely environmentally friendly – join fellow Vancouverites and reduce, reuse, recycle! Click here for more information! Translink is the transportation system for Metro Vancouver. Established in 1998, Translink has expanded from buses as their primary mode of transportation to skytrains, trains, and seabuses. Public transportation in Vancouver has improved vastly over the years – make sure you download the Translink app for access to live updates, maps, and stops! Click here to find out more! Originating in the city of Ulm in Germany, Car2Go has been offering a unique way of transportation for its consumers since 2008. After you sign up as a member, you will be able to access any Car2Go vehicle in the areas offered, drive it to your destination, and drop it off. This reliable service is environmentally friendly and doesn’t charge you monthly – you pay as you go! 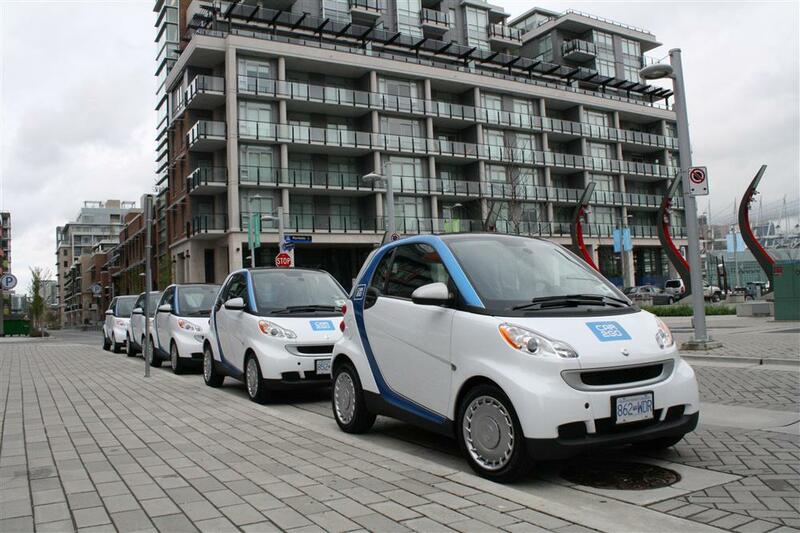 Visit the Car2Go website for more information. As a city that is constantly evolving, driving around Vancouver can sometimes be a hassle. The Go Parking app allows you to search up areas that provide free parking in your vicinity. Simply type in your location and Go Parking will compile a list with the distance included! Download the app for the inside scoop for free parking! Harbour Centre’s Vancouver Lookout is celebrating its 40th anniversary. As a part of its “coming of age”, Vancouver Heritage Foundation has partnered with the Lookout and invites you to experience different perspectives on the city through a new event series from this special vantage point. Perspectives: Talks & Discussions will explore stories – surprising, thought-provoking, and thrilling – that have shaped Vancouver over time. Five talks from different speakers will offer insight on a range of topics including Indigenous stories and context, South Asian history and immigration, architectural development and change, Vancouver’s music scene and nightlife, and the city’s seedy criminal history.The mix of daytime and evening events runs September through November. Coffee will be provided at morning talks. For more information, visit: vancouverlookout.com/blog or follow #VancouverPerspectives on social media. Please plan to arrive at Harbour Centre at least 15 minutes before the posted start to allow time to take the elevator to the Lookout. Each talk will begin promptly 15 minutes after the posted start time. The dominant stories of our city tend to be those of the colonial culture, which has written itself into the built form and the narratives of Vancouver. Musqueam artist Debra Sparrow’s people have lived here for thousands of years, her people’s history and relationships with this land are “written in the earth”. Metis-Cree filmmaker and community planner Kamala Todd holds deep gratitude for the Musqueam, Tsleil-Waututh and Squamish people, who so generously share their lands and wealth – while being in many ways written out of the story and landscapes of Vancouver. Join us for a dynamic conversation that weaves important Indigenous stories and asks how we can inhabit an urban past, present and future which fully reflects and embodies the Indigenous people of these lands. Join Author Eve Lazarus for a night of true crime as she draws on stories from her latest book Blood, Sweat, and Fear: The Story of Inspector Vance, Vancouver’s First Forensic Investigator. Starting in 1907 as the City Analyst for the City of Vancouver, John F.C.B. Vance worked in several buildings in downtown Vancouver before being named honorary inspector for the VPD and put in charge of the newly formed Police Bureau of Science (now housing the Vancouver Police Museum). Vance used his cutting-edge skills in serology, toxicology, firearms examination, trace evidence and autopsy to solve some of the most sensational crimes of the twentieth century. His techniques were so effective that there were seven attempts on his life, and for a time, he and his family were under constant police guard. Join John Atkin, as he explores the constantly changing Vancouver landscape and tells the stories behind some of its most iconic buildings and neighbourhoods. Hear about the Woodward’s site including the story behind the store’s demolition, learn about gold rush money, renewal and restorations around the Flack Block, gaze down at the Morris J. Wosk centre as you hear its tale of demolition threats and eventual adaptive reuse as well as the complex history of Waterfront Station where modern uses have breathed new life into this venerable building. Downtown Vancouver was home to legendary nightclubs throughout much of the last century where, thanks to Vancouver’s geographic location, many performers would kick off tours. Today, most of the theatres of Granville Street are gone, and only a few legendary nightspots remain. How did some of Vancouver’s clubs remain, and others simply disappear? Is the city’s “Granville Entertainment District” really the answer? Author Aaron Chapman explores the history and future of Vancouver’s music scene. Vancouver Heritage Foundation is a registered charity working to support the city’s built heritage through educational programming and awareness building. To find out more about VHF, visit vancouverheritagefoundation.org. This event (November 16 only) will feature a cash bar from Vancouver’s first micro distillery, Long Table Distillery. In one of the earliest South Asian Canadian novels, Sadhu Singh Dhami wrote that sometimes the landscape of Vancouver can evoke the idea of home because “the Fraser was much like the Sutlej gliding through the plains of the Punjab.” This talk looks at how migrants over the past 100 years have worked to create belonging and thread their lives into the story of Vancouver. From the epic tale of the Komagata Maru to clandestine freedom movements, from the fight for civil rights to the living legacy of trauma and displacement, this talk will illuminate South Asian stories and intercultural relationships that can only happen in Vancouver. If you’ve been following the local news at all, you’ll know that the talk of the town in Vancouver since early December has been snow and ice – and salt. Although winters in Vancouver are usually known to be mild and rainy, this year we’ve been getting snowfall after snowfall. And while the residents may complain, for tourist it means you can finally enjoy a true Canadian winter right in the city. Vancouver is renowned for its proximity to mountains that offer all kinds of winter (and summer) activities. Cypress Mountain, Grouse Mountain and Mount Seymour are located across from Vancouver on the North Shore, and have been getting lots of snow this year. All are quickly reached from downtown Vancouver, and offer lessons, rentals and night time skiing, as well as many other winter activities. Cypress Mountain offers the highest vertical rise of the North Shores. It is the most popular with locals, with amazing views and the greatest number of expert runs. Having hosted the freestyle skiing and snowboarding events for the 2010 Winter Olympics, it also boasts 5 terrain parks. If cross-country is more your thing, you’ll find 19km of trails, as well as snowshoe trails. Grouse Mountain is one of Vancouver’s biggest attractions, where the Skyride Gondola will bring you right to the top. It offers great skiing, again with amazing views, but if you prefer a more relaxed day, Grouse Mountain is the place for you. Excellent dining, a theatre, snowshoeing, zip-lining and even skating await you at the Peak of Vancouver. The eastern-most mountain, Mount Seymour is perhaps lesser known with tourists. A great choice for families or beginners, it receives the most snowfall of the North Shores, and also has snowshoeing, tobogganing and snow tubing. Unlike most of Canada, winters in Vancouver rarely dip below freezing, making outdoor ice skating rather unlikely. Luckily, we’ve got Robson Square Ice Rink, right in the heart of downtown. Located next to the Vancouver Art Gallery, steps from the Robson Street shopping district, it is open from 9am to 9pm daily (11pm on Friday and Saturday). With free access to the rink and $4 skate rentals, skating at Robson Square is a Vancouver winter-time favourite. However, if you are hoping for the real Canadian experience of skating on a frozen pond, you might just be in luck. For the first time in 20 years, Trout Lake in East Vancouver completely froze over in early January and was opened to the public for skating by the Vancouver Park Board. This is weather dependent, so visit their website for updates on weather, conditions and closures. There’s something magical in walking around on a cool winter’s night surrounded by snow and colourful lights. Most holiday light displays have come and gone, but the Lights at Lafarge in Coquitlam are your last chance to explore the magic. Easily accessible thanks to the Skytrain Millennium Line extension to Lafarge Lake – Douglas; it is open daily from 4:30 to 11 pm. Until January 22, see over 100,000 lights at the Winter Light Display, as you walk the 1.2 km loop around Lafarge Lake through 10 different themes. While it isn’t an outdoor activity, going to a hockey game is a true Canadian winter-time experience. The Vancouver Canucks are the local NHL team, vying for the Stanley Cup. While the team has been struggling to stay in a fighting position lately, attending a game is still a guaranteed exciting evening. Upcoming games at Rogers Arena are January 17, against Nashville, January 20 against Florida, and February 2nd against San Jose. Is the cold winter chill putting a damper on your Christmas spirit? Have no fear; the Vancouver Trolley Company has the perfect remedy! The Karaoke Christmas Lights tour is your ultimate Christmas experience around the city, making stops at Stanley Park’s Bright Night Displays and Van Dusen Botanical Garden’s Festival of Lights. However that’s not all, the trolleys will be festively decorated and equipped with karaoke machines for you to show off your vocal chords! Tours will depart from Canada Place every evening at 6:30pm until December 29th with the exception of Christmas day. Upon pick up, you will merrily make your way through downtown Vancouver before arriving at Stanley Park. After taking some time to take in the lights, the tour will continue through local light displays before arriving at the Van Dusen Botanical Gardens. Not only will you feel the warmth of the holidays radiating through you, your trolley guide is there to entertain and to make sure no song request is left unheard. The magic of dazzling light displays and the joy of singing your favourite carols at the top of your lungs is guaranteed to put anyone in the best of moods. Additionally, a donation to the Burn Fund is included in each ticket purchased. This tour is by reservation only please visit the website for more details and to book your seats today! Looking to get in the holiday spirit? Our city is filled with beautiful Christmas light displays to get you in that holiday mood and enjoy some wonderful sights during the most wonderful time of the year! If you’re looking to head to the mountains this winter season, make sure to stop by Grouse Mountain’s beautiful light walk. Walk among the fur and spruce trees covered in snow for this truly magical light display. Located just beside the mountaintop skating pond, this display is open at dusk every evening. Looking for some thrill to go with your Christmas light viewing? Take a trip to Canyon lights at Capilano Suspension Bridge Park! From now until January 8th, the entire park is lit up with hundreds of thousands of twinkling lights. A wonderful family activity, canyon lights is a must see this holiday season! Visit the world’s largest Christmas light maze at Enchant! Located near the Olympic Village, this holiday event also features a market with over 40 local venders as well as 12 food trucks to enjoy a wonderful meal. Buy tickets online to avoid any disappoint of missing out on the fun. Visit Vancouver’s favourite park this holiday season and check out Bright Nights in Stanley Park. Take a ride on the train and check out the beautiful light displays, all set to live music. A portion of the proceeds will go towards the BC Professional Fire Fighters Burn Fund. This great attraction is open until January 1st. When: Check their website for full list. Head over to VanDusen to check out their wonderful garden light display. With over a million lights, they boast the biggest holiday light display in the city! Open from now until January 2nd, this is a light display that is sure to dazzle all! Looking for a free option? Take a drive or walk around your neighbourhood and try to spot all the houses that are decked out! Happy holidays!